Most of our clients are engaged in a targeted Adwords campaign anyways, but a branded campaign is something we highly recommend to even those who don’t explicitly run a wider Pay-Per-Click campaign. Here we are, protecting your brand! We have seen clients in situations where competitors were running ads on their brand names – a topic for another day. Running on your brand is the best way to protect your brand, and is also helpful if you have competitors with similar brand names. Ooooh boy look at this ad! It’s sooooo big! Thanks to callout extensions, call extensions, sitelink extensions (with descriptions! ), we are taking up a ton of real estate on the ol’ first page of Google. Whee! 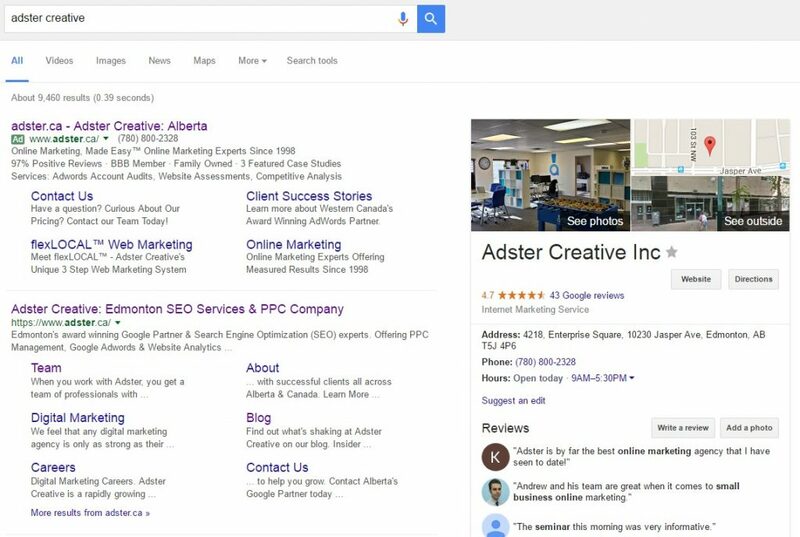 A branded ad is also a great way to help push down any less than ideal search results that might crop up on the first page for your brand – competitors with similar names or maybe directories with bad reviews. Appear above the fold in mobile. An ad in position 1 dominates the entire screen on mobile. Want to guarantee that you show up for your brand when people look for you in mobile? Run a branded ad. If you’re a new brand, you’ve probably noticed that organic growth takes time – but flip your branded campaign on instantly and your potential customers will be able to Google you and find you ASAP. Hooray! We’re talking $0.10-$1, depending on your brand name. Of course, this varies – but they are typically on the low end of the spectrum due to their extremely high relevancy. Google loves relevancy and a high Quality Score – what’s more relevant to your website than your brand name? Long story short, you don’t need to dedicate much budget to a branded campaign. Are there possible cons? Maybe! One that I’ve heard thrown around is that a branded ad could lead people to click on your ad instead of an organic result, leading to a) clicks that now cost $ instead of no $ and b) a decrease in organic traffic. Possible, yes. But isn’t it more valuable that your name is in front of people for a very small cost and a potential dip in ‘free’ organic traffic? A branded Adwords campaign is the way to do it. Want to start your own branded Adwords campaign but don’t know how? 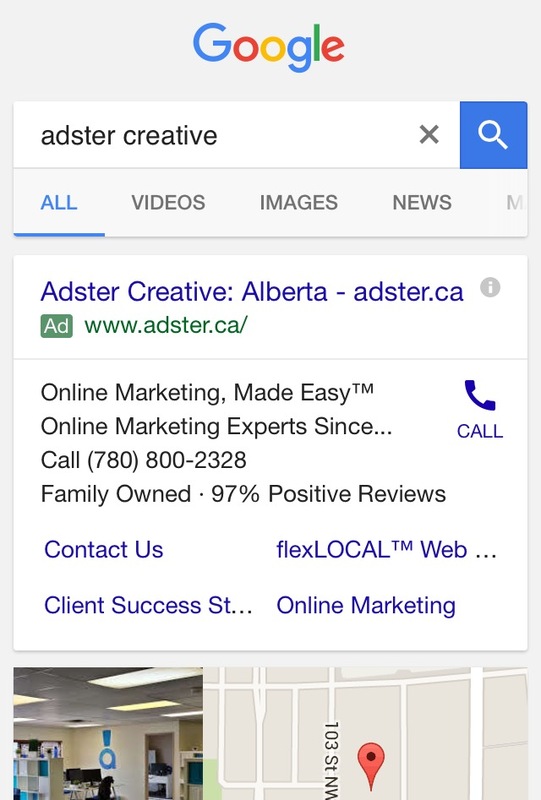 Contact the team of certified Google experts at Adster Creative to get started!